Coming November 5, 2018. 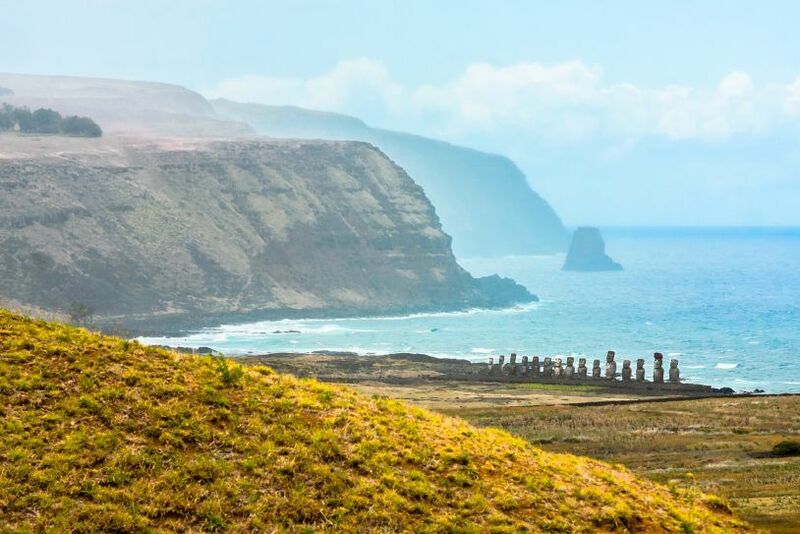 Wine and the giant stone Moai statues on the most remote island in the world – what a trip! Our friends at AdventureWomen are offering a high energy, 10-day tour of Chile with Hiking, Winetasting and Easter Island. Some of the high points of the varied itinerary include: cycling and wine tasting through the Casablanca, Colchagua, and Maule wine valleys of Chile; hiking and exploring Easter Island or Rapa Nui (Easter Island in Polynesian), a UNESCO World Heritage Site located more than 2,300 miles from Chile’s coast; cycling to the restored archeological site of Taha; a visit to the ceremonial village of Orongo with its spectacular petroglyphs and the picture-perfect crater lake of Rano Kau; and a walking tour of Santiago, Chile’s vibrant capital. All this and more with a group of adventurous, active women or should we say, AdventureWomen? !